The Academy is Finally Becoming a Reality! is finally becoming a Reality! 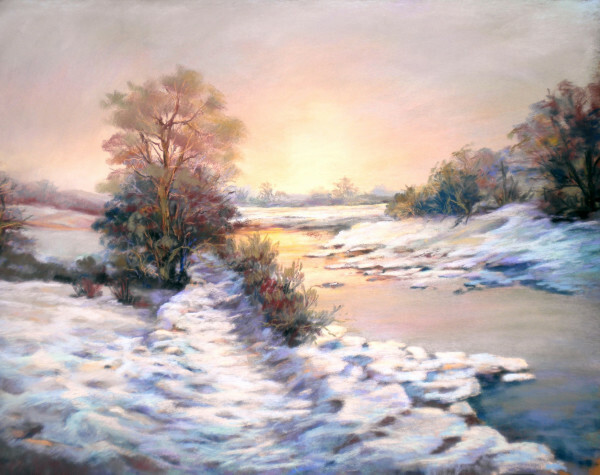 Twelve months ago the journey began, fueled by the knowledge that I needed a working tool to be able to reach out and teach all of you who want to learn, improve and advance in your artistic careers; in the belief that the end result has to be good for you, and equally as important for me; for the furtherance of the pastel medium. 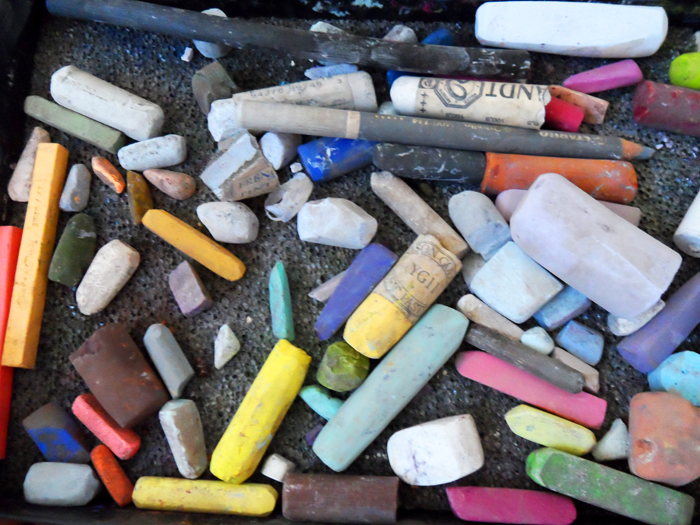 To me it always seemed a little futile in giving over my life’s creativity to learning and specialising in a fabulous medium like pastel – if not to find some way to pass that knowledge and passion on to others. It has been an exciting, if a demanding dream – but now the months of planning and building are beginning to pay off. I have had little time to paint, but that was a necessary sacrifice in the short term. It certainly has been and remains a concentrated period of creativity in another way. And without doubt I have been spurred on by your messages of encouragement. Thank you so much to those of you who have written to me and also those who have replied in the comments sections of my blogs. I was also pretty knocked out by how many of you took part in the survey earlier this year – your input was very important. So now on to the serious subject of Beta Testers. What are Beta Testers? Well not only will they be the first members to enter the Academy (! ), they will also be the first to test the Membership Site functions. Possibly one of the main attractions of becoming an Academy Beta member, is the fact that as the earliest members, your feedback could actually shape the features of the Academy, by giving your input honestly and with an appreciation of the mission of the Academy in mind. To be in on the birth of something like the Academy can be exciting and productive! And I will be in there testing it all too, so for me it is also a chance to get to know my first members who are helping me to polish the site. Beta Testers are in fact Charter Members: first members of the Academy, there will be a special enrolment price for you.. You will be offered the membership level of your choice with a large discount off (either the Silver or Gold Membership – Platinum membership opens later in 2017) – and that fee will stay the same for the duration of your membership! The beta prices will be forwarded to you in an email in a few days. So what do the Beta Testers Actually do? Well they join the Academy prior to the Launch and they make themselves familiar with all the pages and resources. They are of course also the first to test out the payment structure. That really is an important test. If there are any problems the Beta Testers will find them. They test all the links between pages – check out that all the buttons take them to the place they should do. They check all videos and resources. They should run up a ‘snag’ list. It is amazing how many little glitches or issues I might not be able to ‘see’; which is natural considering how close I am to the site, so your fresh eyes will be valuable. But equally as important – and this is the fun bit – you get to start the Community Forums. With me. The Forums are an awesome feature! 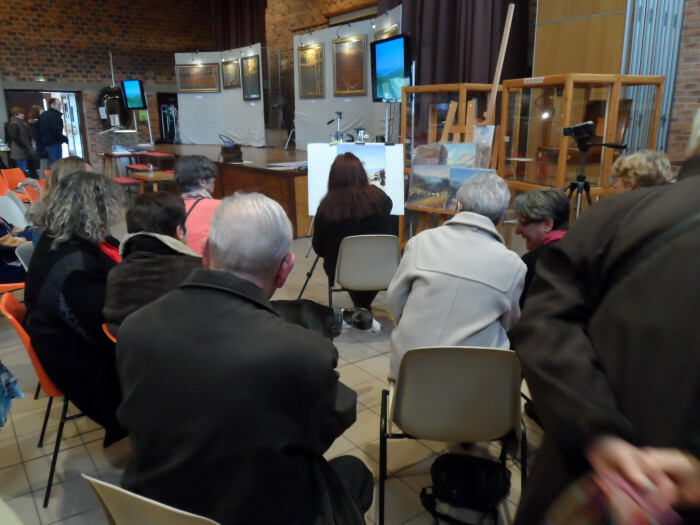 Heather’s Masterclass Demonstration for Pastel D’Opale, France 2014. Oh yes and they are awesome! There are a few Forums in the Academy but first of all let me explain why I have chosen Academy Forums over a Facebook page for instance. As a friend of mine recently experienced, Facebook can at any time change their rules or even worse (as happened to her) they can close groups down, with no warning and even less reason. And then of course there is the simple fact that a properly set up Forum is far better than a Facebook group, and private from the public gaze. A beginners Forum: beginners and improvers in their drawing skills/ and or pastel, where those just starting out and maybe a little less confident can make friends with others in the same position. ‘Say Hello to the other Members’ so that you can be part of the Academy from Day One. A Core Training Forum; covering all the major elements of good paintings: Colour Theory, Tonal Values, Perspective, Composition. An ‘Ask for Feedback’ from the group Forum. And more forums will be added as needed. In addition, you will each have your own totally customisable Profile page where you can add all your weblinks and social media info. So to be the first to populate the Community Forums is a great thing – and the Beta members will be doing that. So What Am Looking for in a Beta Member? I need Beta Members who are both familiar with computers and some who are not particularly computer savvy. In fact, I estimate a good percentage of people I am writing to right now – might not be computer savvy. You are equally as valuable to the Academy as Beta Members. So if you want to be in the Academy at ground level, and would like to be a Charter Member of the Academy – this is your chance. So How Do You Become a Beta Tester/Member? I am looking for no more than 15 Beta members. So this really is a ofgne and only time opportunity. So if you are interested in being a Beta member simply send me an email to heatherharmanartist@outlook.com. (or click reply on the newsletter that provided you with this blog link). In return I will send you a mail with beta enrolment information and more information about the beta tasks. The Academy train is rolling along, with still so much to do but at least it is on the right track! Without doubt it is a massive undertaking but all the best things are worth waiting for. One of the things that has not helped me is the fact that there is nothing out there in internet land, like the Academy, so I am more or less breaking new ground with this project. It is exciting for sure but without doubt the Academy is pretty unique. Why? Well I’m an artist at the top of my game, but rather than further career building, I am more passionate about my medium and mentoring the next generation of pastel artists, and for good reason. So my time is now taken up with the Academy, and I am more excited about it than I would be putting together a new one woman exhibition. In fact I’m very excited about the fact it is online rather than a real world brick built building housing a pastel school. Online, you can all participate. Offline pastel tuition of this calibre would be down to access and affordability – travel, accommodation etc. So the upside is – potentially you can all participate. The downside – there is a limit as to how many enrollees I am able to take in. More on that later. At the moment the website is in full construction mode, and will remain in that mode for as long as it takes to complete of course. I have looked at different kinds of models for the Academy and in the end chose the simplest and most effective solution. The choices I had to make centred on whether it would be best to complete each course and then put them onto an online teaching platform – costed basically on their length and content, or, to house all the courses on a platform (website) of my own at a similar cost, or – not to charge for the courses individually, but to house them all on a website of my own on a membership basis. I want the Academy to be a learning hub for Pastel not just a place to buy courses. I shall be filming many courses and access to them all would be a financial headache for many people. As well as the all important courses on all areas of pastel work (and drawing), it is my aim to set up a constantly growing pastel directory. Part of this live training function: an active and supportive Academy community. An additional function which covers earning a living from Pastel. The best and most efficient way to deliver all of the Academy’s services is via what is in effect a private Membership Pastel Club online. Then when you enrol on a monthly membership (or a discounted annual one) you have access to the Academy resources. 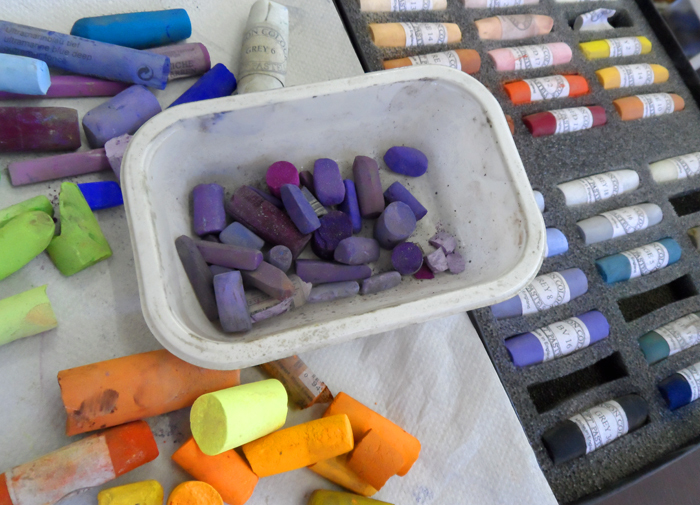 A library of courses covering all aspects of pastel in portrait, landscape and still life. Courses also in basics in drawing and sketching, and the important basics such as Composition, colour theory, tonal values etc. No good being a great pastel technician if you are making simple composition mistakes. A monthly Live Training session (webinar) where I set projects and challenges for review the following month. This will include a special beginners section. An Exclusive Academy community forum – which will form an important part of the Academy resources. Somewhere where you can safely post your work – out of the public eye – and get quality feed back if requested. Also somewhere where important discussions re pastel and the art business can be explored. A Pastel history section. 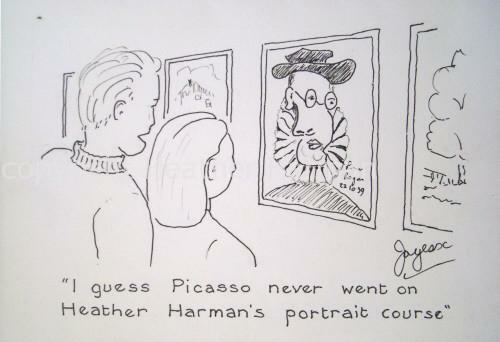 I shall be publishing my university research on pastel history in the Academy. As a pastel historian this is one aspect of the Academy which will also grow into an important resource. A Resources Directory covering: suppliers, manufacturers, links, Pastel Societies, Society Exhibitions, free photography (copyright free) sources, copies of my Leisure Painter articles in PDF format, and much more. 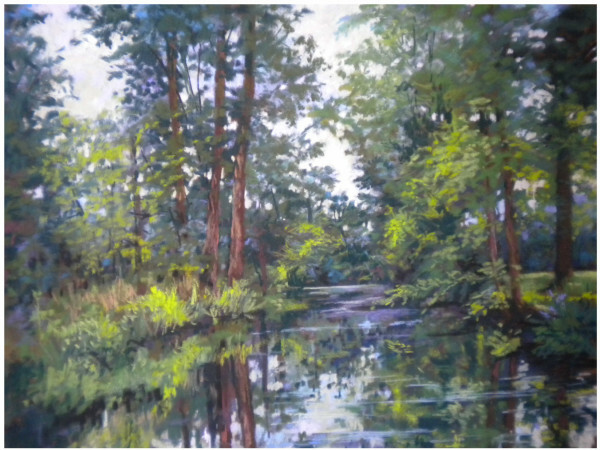 A Handy Hints & Tips page; subjects not large enough to warrant a full course being made – but important tips on paper choice, fixative, travelling kits, plein air work and kits, studio set ups, pastel storage etc. And finally there will be a very important extra addition. I have been thinking about this for some time having been asked by artists over the years how I have built my career. 8. A programme for earning your living as a pastel artist. 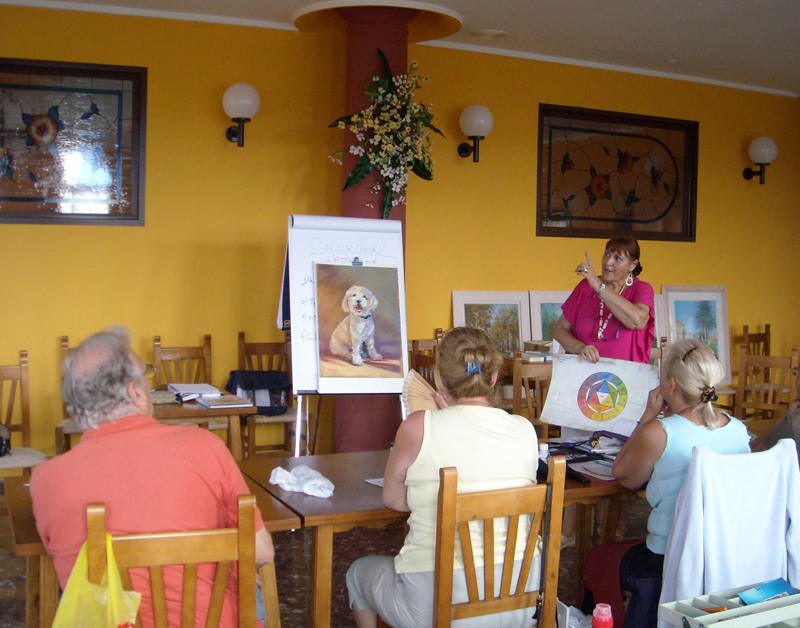 This will include a course on marketing, and tuition relating to becoming a pastel tutor. Another part of this programme will be advice on marketing your art both online and off.. This is something I am pretty passionate about and which is also in response to my survey questions last month. Yes, I do have a lot of experience in marketing myself and yes I will be giving advice and adding that into my course content. (What you might not know is that I was accepted into Lancaster University back in 1990, as a mature student, on an Arts/Marketing ticket). This is something that is of great interest to quite a few of you. For me it is yet another way of putting down in course form, my experience as an artist from a business level, and how to survive as one lol! It matters particularly to me that I should be passing this information on to pastel artists of course, but this is one section that applies to all visual artists. ***This last Academy function will come under a separate membership level – a Platinum level membership. It is something that might be of little interest to beginners and learners – at least until you are confident in your abilities – but something available to you down the line when you are ready to upgrade to platinum level. (Of course Platinum level will also have other exclusive features). The Academy Members – who will they be? The is a really important consideration. First of all let me outline my commitment; Obviously I have been living and breathing this project for over a year now and in fact when the Academy goes live I shall be even busier. The Academy will in effect become my art school. I shall be on duty in the Community forums, setting up a beginners program and providing Live Training every month. In addition to bringing in some interesting ‘guests’ into the blogs. I shall be running the content creation program (courses PDF’s ebooks etc.) and running the online functioning of the Academy – the Membership site software itself – and I’m not a techie! I am doing this because I know I can make a big difference, and I want my life’s work to be of value when I’m no longer around. Pastel’s reputation and standing in the art world is my motivation, and the Academy’s role for me is in training the next generation of pastel artists – who will get the chance to hit the ground running because I am mentoring them. So firstly let me say that a massive membership list is not my aim. There is a limit to the number I am willing to take in. Some of course will need more guidance than others, but I don’t want a mass of students who are not going to get the full benefits of Academy Member ship because they lack commitment. In fact the Academy will be open for enrolment three times a year, following its initial launch. (This figure may change but it is the one I am working towards at the moment.) This is particularly important to the beginners program, and there may be a more flexible enrolment policy for more advanced pastelists. The people on my email list – all of you reading this – will be offered the chance to enrol first. Which means that if you refer (recommend) the Academy to someone you know who you think will benefit from it, and they sign up, you will receive a commission. More on this later, but it is a good way to participate in the growth of the Academy and earn something towards your fees. At the moment I am planning just two levels – gold and platinum and I am working on the membership level fee structure at the moment. There is an option of a silver level should that become a requirement. So that updates you all on the Academy and how it will work. I know that you will have many questions and this is what you can do for me. First ask any questions in the comments below (or email me if you prefer, but others might like to see the questions and answers in the comments below). Then I would like you to tell me (given the outline of the Academy and what it offers) – how much would you value it / charge for it per month? I really do value your input at this stage, because pricing and costing is a big consideration. As a guide, take into consideration what it would cost you to go to workshops and classes in the UK, (yes I realise that there are not many of you with access to such classes without travel and accommodation costs) and then add my name, experience and reputation into the equation and come up with a figure – even if it is one you would find hard to meet personally, state what you consider would be a fair price. As a further guide – a ballpark figure might be within the $30 a month ($1 a day!) and $45 a month ($1.50 a day) or $60 a month ($2 a day) or $90 a month ($3 a day) etc. (The fees will be quoted in dollars for reasons of business ease of use). Also let me know also which of the Academy’s features as outlined above, you would find the most useful and why? Feedback from you all is important at this juncture. Let me know if there is a feature that you would find useful which I have not outlined above. I have been through many revisions on content already so it is probably something I have thought about, but you never know, maybe it is something I have not thought about. Let me know also if any of you already belong to a membership site. I belong to two and I am a happy member of both of them so I am used to how they work. For some subjects they are wonderful and because the best ones are jam-packed full of features they are incredibly good value. Please add your questions in the comments section below or if you wish send them through the email address on the newsletter. I will read and answer them all – and I look forward to reading your comments!